Welcome to Blue Mountain Beach, Florida! Blue Mountain Beach is peaceful beach retreat living at its best. The beautiful hue of the native blue lupine flowers gives Blue Mountain Beach its name, as these herbaceous perennial flowers can be seen covering the landscape, particularly during the spring and summer months. Blue Mountain Beach offers everything from engaging outdoor adventures to relaxing and private beach living. Located at the highest elevation point on the Gulf of Mexico, Blue Mountain Beach is one of the communities along Scenic Highway 30A. 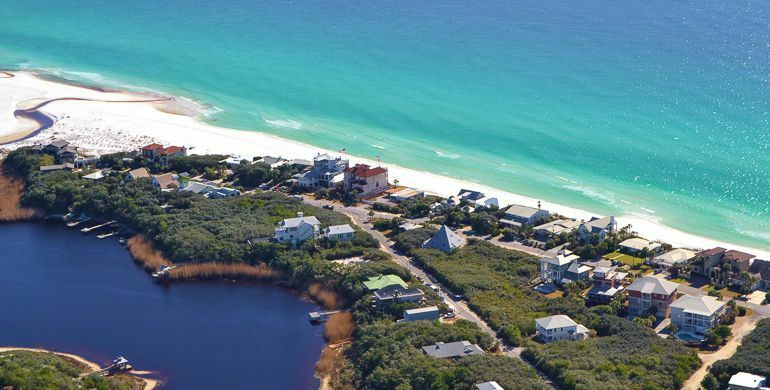 The rolling dunes of Blue Mountain Beach are also only 13 miles east of the larger town atmosphere of Destin, Florida. 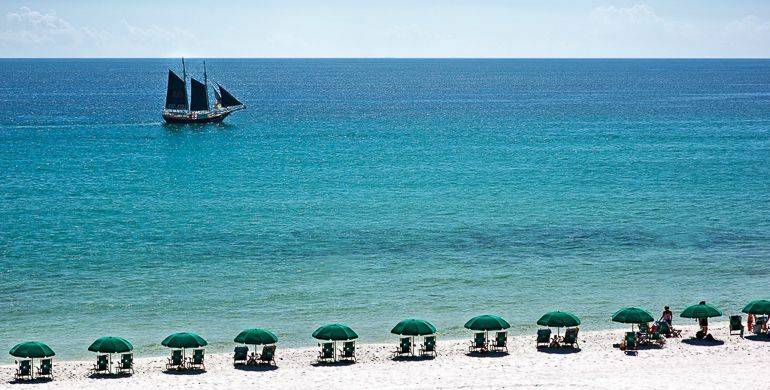 Blue Mountain Beach is a beloved locale for both permanent residents and vacationers who favor peaceful living in a quiet beachside village without sacrificing the amenities that Destin has to offer. Blue Mountain Beach homes come in a variety of styles. From the quiet and quaint beach bungalow to condominium living, Blue Mountain has several options. From cottage style homes along Blue Mountain Road to sprawling beachside villas, Blue Mountain Beach has just the right variety to choose from. There are also a few condominium options including the Adagio and Bella Vita. Adagio — Adagio is Italian for “at ease.” To discover a home at the Adagio Condominiums is to find yourself in a state of peace and tranquility. Adagio is a gated community with all of the amenities of a cruise ship. From an 8,000 sq. ft. pool and spa to full fitness facilities and private patios, Adagio would be a pleasure for anyone to call home. Bella Vita — Not to be outdone, Bella Vita is Italian for “the good life.” Bella Vita Condominiums boast a treasure of flowing fountains and lush gardens. Bella Vita, is outfitted with all of the amenities of the good life with elevators, fitness centers, swimming pools and more, all safely resting within a gated community. Enjoying sunrises over the dreamy green waters of the Emerald Coast is only the beginning to a day of harmonious living and potential fun in the sun. Whether you make your home in a Blue Mountain Florida-style cottage or one of the beautiful condos, Blue Mountain Beach allows you to choose your own adventure. Blue Mountain Beach is a place of quiet restfulness and natural habitats ripe for exploration. With destinations like the Dune Lakes and Point Washington State Forest, biking, hiking, canoeing kayaking, fishing and all manner of outdoor pleasures await. Many homeowners choose Blue Mountain Beach as an ideal location for their private beach retreat.